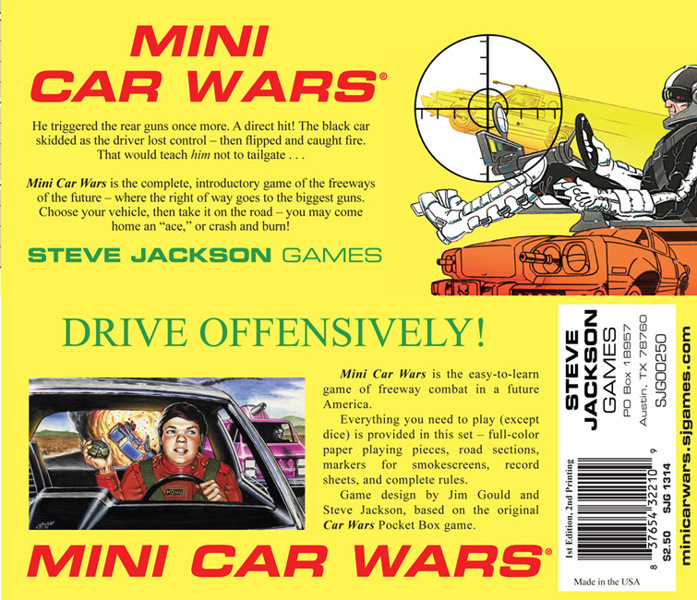 Mini Car Wars, the quick-to-learn, easy-to-play version of the car combat classic, is back in print and available at Warehouse 23! The rules are pared down, but it is still the crash-and-burn Car Wars you know and love, with everything you need (except a pencil and some dice) at a low, low price. Mini Car Wars is a Warehouse 23 exclusive, so pop on over and pick one up!